What is Kids Club’s Education for Life philosophy? Research shows that 85-90% of brain development takes place from birth to five. And early brain development has a lasting impact on a child’s ability to learn and succeed in school and life. The quality of a child’s experiences in the first few years of life – positive or negative – helps shape how their brain develops. 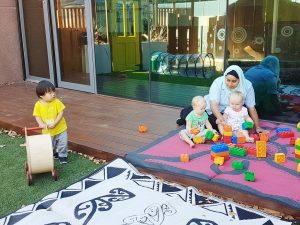 This is why Kids Club Early Learning Centres have developed the Education for Life program which encourages lifelong learning through early childhood education. 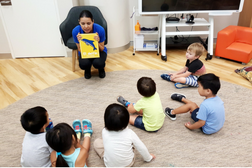 It is in these first five years of their life that they will learn and develop fundamental skills, such as walking, talking, identifying letters, words, colours, shapes and more. Children are more likely to learn when they feel safe and comfortable, therefore your child’s education needs to be provided in a safe and positive learning environment. At Kids Club, we select only the best resources and our educators are trained in creating the best learning environments for your children. Our Early Childhood Educators are caring qualified professionals, with the ability to identify teachable and learning moments. With this ability, they embed the Education for Life program in everything they do. From setting up our wondrous play spaces to encouraging positive interactions amongst the children each day. The Education for Life program has been crafted to cater for these teachable moments as well as your child’s key areas for development. 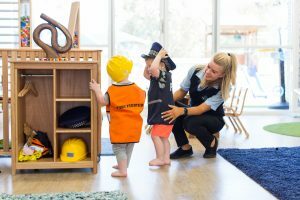 Education for Life incorporates the Early Years Learning Framework developed by ACECQA as a guide for the key skills in early childhood learning and development. Our Education for Life program is about giving your child the best start to their future, creating a passion and a life-long love & appreciation for learning. Your child’s exploration is a powerful source of learning! We encourage your child to be inquisitive, exploratory of the world around them and use their inherent sense of wonder to make their learning fun, enjoyable and relatable. We use exploration for your child as an inquiry-based learning and teaching approach. Studies have shown that children will learn best when they can connect with the learning. If a child shows interest, curiosity, inquisitiveness on a topic they are eager to learn and this provides our educators with a basis for exploratory learning. Community and Culture offers children a way to learn & develop the skills to become emotionally intelligent and aware of others. The Community and Culture component exposes children to learn about different cultures, communities and much more. We engage your child in language lessons, challenging their cognitive skills. Our event calendar throughout the year celebrates, acknowledges and encourages a range of mixed cultural events. Self-awareness and self-worth are complex emotions we begin to teach your children about from the moment they start with us at Kids Club. The Self-Identity component of Education for Life is to support your children in feeling comfortable to express themselves. We encourage and provide positive environments for children to develop relationships with their peers and teachers. At Kids Club we support the children when they first start attending childcare, in their transitions from room to room and to big school. 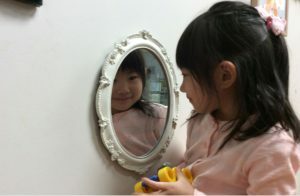 Self-Identity encompasses the time we spend with you and your children in orientation, learning and becoming familiar with the new centre, teachers, routines and more. Mind and body is all about your child’s wellness, physical and mental health. Mind and Body includes physical literacy as well as yoga, meditation and mindfulness. We collaborate with sports clinics which assist in the development of fine and gross motor skills and the love of sports. Our children also benefit from Music lessons. Healthy Nutrition is one of Kids Club’s core values for your children. Our children benefit from Music lessons. Many studies have proven the power of music to enhance memory, improve confidence, strengthen learning capabilities and develop motor skills. We strongly believe in educating children about healthy eating and nutrition to set them up for a life of well-being and making the right health choices. We pride ourselves on our in-house fully qualified chefs, that prepare and cook fresh healthy meals every day. The scholastic component works on developing on your child’s academic skills, from our babies’ room to Preschool to support your child in their transition to Primary Schooling. We encourage scholastic skills in each and every teachable moment with your child. From the day your child starts at Kids Club we work to develop skills such as; literacy, numeracy, language, colour and shape recognition. The Reggio Emilia Approach reminds us that “art has the role in education of helping children become like themselves instead of more like everyone else”. Creative skills are fast becoming mandatory in the modern world we live in. The creative pillar of Education for Life encourages children in an array of activities, including arts & craft, dance, role-play, self-expression and much more. The creative child is a thoughtful child and creative expression is unique to each child. Therefore, at Kids Club our educators will partner with parents to understand your child’s unique strengths and preferences. The jobs your children will be applying for in 20 years’ time might not exist today. This makes teaching our children a challenge; however, we can teach and encourage them to be great thinkers and learners, truly giving them the best start to their future. The thinking skills component for Education for Life offers a structured approach to your child’s cognitive and intellectual development. We use intentional teaching times to hold meaningful learning experiences, we use purposeful materials such as puzzles, Lego, concentration and memory exercises. The Early Years Learning Framework is Australia’s national curriculum framework for early childhood education. It focuses on your child developing a sense of belonging, being and becoming through five learning outcomes. Being is about living here and now. Childhood is a special time in life and children need time to just ‘be’, time to play, try new things and have fun. Becoming is about the learning and development that young children experience. Children start to form their sense of identity from an early age, which shapes the type of adult they will become. At Kids Club we take a holistic approach to early education. Every step of the learning journey is important, and we strive to help children grow and learn through play and exploration; as well as, through interactions with their peers and adults around them. Click to open the Early Years Learning Framework in a new tab. Play is a means for exploration of the world for a child. Children use play to make meaning and connections. A play-based learning approach means that your child will learn and develop an array of skills at their own pace and through their own interests. At Kids Club Early Learning Centre, we believe that children learn and develop most effectively through their play and social interactions. Therefore, our programming is based off play-based learning and interest-based learning. At Kids Club we are inspired by the Montessori educational approach and aim to have your children reach the highest potential of their development possible. We provide an environment of activities and materials which your child can use at their own pace assisting them in their self-confidence and inner discipline. The program will focus on your child’s learning and development. Our educators will endeavour to get to know your child and the most efficient ways in which they learn. The educators will shape an individualised program based on the below principles and keep you informed of your child’s progress and development. Our educators will ensure that all your child’s development and learning are meeting the nationally recognised outcomes. At Kids Club, we will observe your child’s learning throughout their time with us. We document the learning along with images in a range of communication means. Kids Club mobile App informs our families of their child’s everyday learning story. Once you have downloaded our App, you will be receiving alerts detailing learning opportunities within the room with photos of what your child and their friends did on that day, you will get a detailed list of meal or nappy times. You will also get to see what intentional teaching has been implemented for the day and the weekly indoor and outdoor curriculum. In each room, there are communication books which we ask for families to communicate their wants or concerns to educators about their child’s learning and development. The communication book can provide an important link between parents and educators, as we understand that you do not always have time at pick-ups and drop-offs. Education for Life has been split into age groups, identifying specifically what developmental milestones your child will be achieving. At Kids Club we support and guide your child throughout their first five years of education. We understand that all children have different educational needs. We also offer additional help to children with higher needs for support in education and care. At Kids Club your child will be supported and educated in a way which meets their needs. 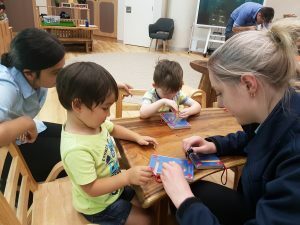 At Kids Club we can assist in providing speciality support services for children with disabilities, behavioural concerns, speech delays and autism. 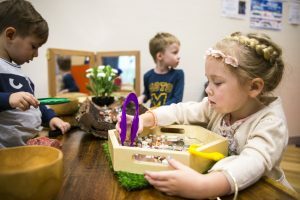 If you have concerns about your child, our early childhood teachers are qualified and experienced to assist in moving forward and implementing unique programs and plans.